The 1998 season represented a substantial fall from grace, after back-to-back championship doubles, but Williams finished third in the constructors' standings then - albeit way behind the leading two. Apart from a strong 2003 season and a fortuitous win for Pastor Maldonado in the 2012 Spanish Grand Prix, for the past two decades Williams have mostly occupied the status of also-rans. 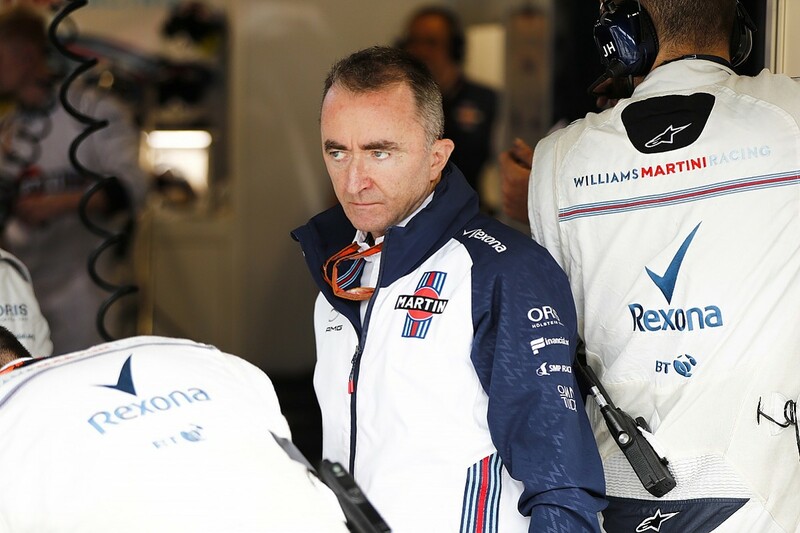 Only in the barrel-scraping seasons of 2011 and 2013 have Williams scored fewer points than in 2018 - and we can trace a common thread from those seasons, through the brief resurgence at the dawn of the hybrid era, all the way to the stinking comedown of the year just past. It's a story of a well-resourced team, staffed by clever and talented people who have lost their way - with their tools and with their working culture. Only this can explain a commonality of failure that has persisted through sundry hirings and firings and management restructures. But is the glass, as it were, actually half full? Have the catastrophes of 2018 jolted Williams into a necessary process of self-examination and healing? "It's been a very tough season for the team, but also for me personally," says chief technical officer Paddy Lowe. 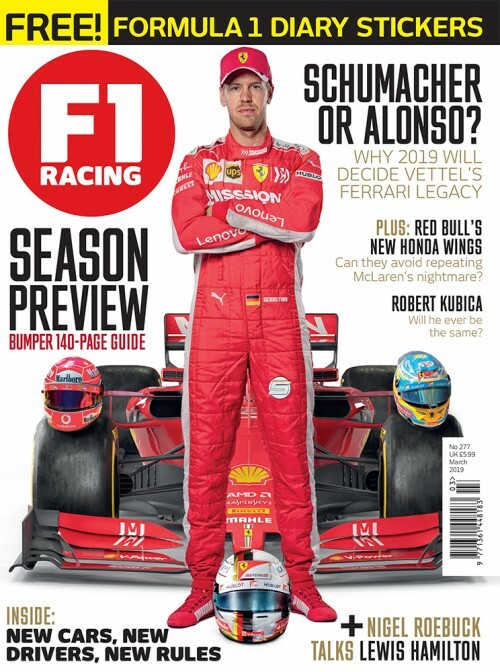 "I would say one of the toughest years that I've had in F1. Certainly in the middle of it, as different players started to appreciate what we were dealing with, it was a really tough time. But on the good side I think we found the bottom of the trench in terms of performance, and that is actually a healthy process for the team to go through for the long term." Last season's FW41 was the first Williams designed on Lowe's watch, and with the aerodynamics department working under the aegis of ex-Renault/Lotus and Ferrari man Dirk de Beer. That the car looked radically different from its immediate predecessors was no surprise; Williams had been iterating from the same overall design concept with diminishing returns from 2014 to '16. Even the FW40 penned for the major rule changes of '17 seemed to take major design cues from its predecessor. 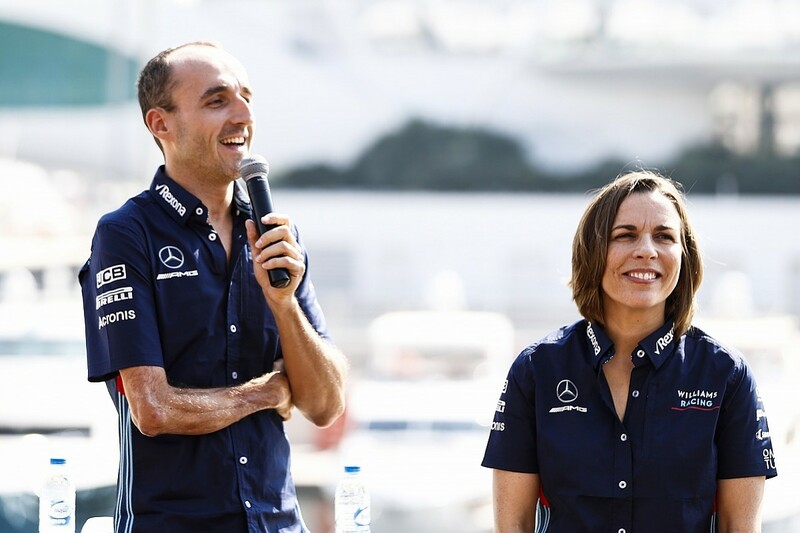 The whole point of recruiting Lowe and De Beer was to revitalise the engineering department and bring new ideas in from outside. It was no surprise, either, to see how closely related the FW41 was aerodynamically to the distinctive and super-quick Ferrari of the previous season. But if we examine the peaks and troughs of Williams' form over the past decade, we see the common threads. 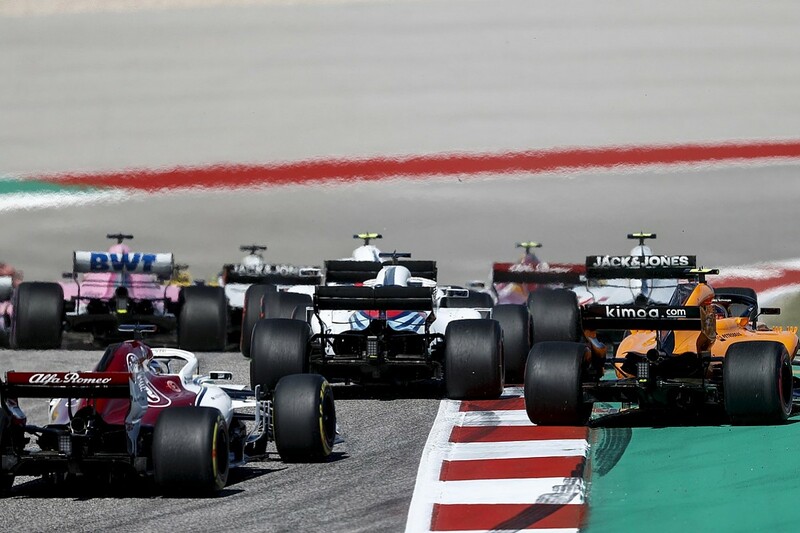 In 2012 and 2014 a change of engine supplier delivered immediate uplifts in competitiveness that ebbed away as the team made bad development choices or added components that failed to work as anticipated. From 2014 through to '17, Williams slid from third in the constructors' championship to fifth, so it made sense to try something more radical for '18. But this approach failed to account for existing shortcomings in the team's aero data analysis methodologies - and it became clear the FW41 had fundamental limitations that could not be fixed, or easily understood without going back to basics. Williams aren't the only team in this situation; McLaren came into 2018 with a development of their '17 car, rather than a clean-sheet design, but they too came to realise their design concept had constraints 'baked in' to its hard points. That's why both teams spent so much time evaluating new parts during free practice at grand prix weekends, sometimes even walking back on developments to try to understand their cars and trace the root causes of their ills. At Williams, the process of unpicking led the team to confront some uncomfortable truths. Chief designer Ed Wood left before the beginning of the European season, followed a month later by De Beer. But when the issues are so deeply ingrained in both team and car, the departure of some senior staff is pretty much by-the-by. F1 cars aren't authored by one hand, so the responsibility (or blame) for failure can't genuinely be borne by one or two people. "The more we got into solving problems [on the FW41], the more we realised there were more problems," says Lowe. "Part of that healthy progress is to get out of this mindset that there are just two or three things to fix, and then everything will be OK, and we'll be winning races. Which is a mindset I think has been in Williams for a very long time. "The mindset we need is to say 'everything is available to be challenged' and 'everything has to be done better every year'. Otherwise you're being left behind by a very strong set of competitors. "You can't stand still in any area, and this is a mentality we need to adopt and which we are adopting. That was not present before. Even I fell into that trap as a fresh set of eyes to the team, and part of the process has been for all of us to get this new perspective." As the season progressed, Williams, like McLaren, found that development parts neither cured their cars' fundamental problems nor added performance in the ways their simulations indicated. Sometimes they actively hindered performance. The FW41's aero was acutely pitch-sensitive and the car suffered a chronic rear-end instability that sapped driver confidence. 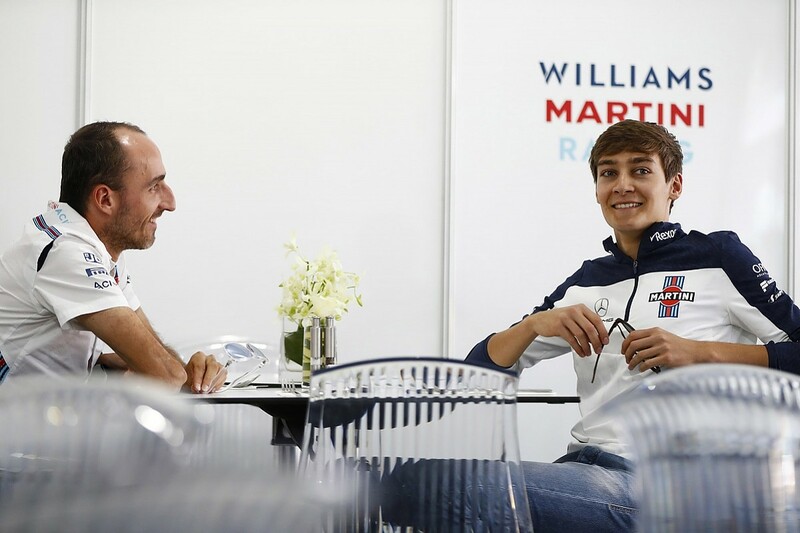 It didn't help that both Williams pilots lacked experience - Lance Stroll was only in his second year in F1, while Sergey Sirotkin was a rookie with just a handful of free practice sessions for Sauber and Renault under his belt. To their great credit, Williams never blamed their drivers for the FW41's ongoing wretchedness. It would have been supremely disingenuous to do so. The most illustrative example of the problems they faced came at Silverstone, where Williams brought a new rear wing. 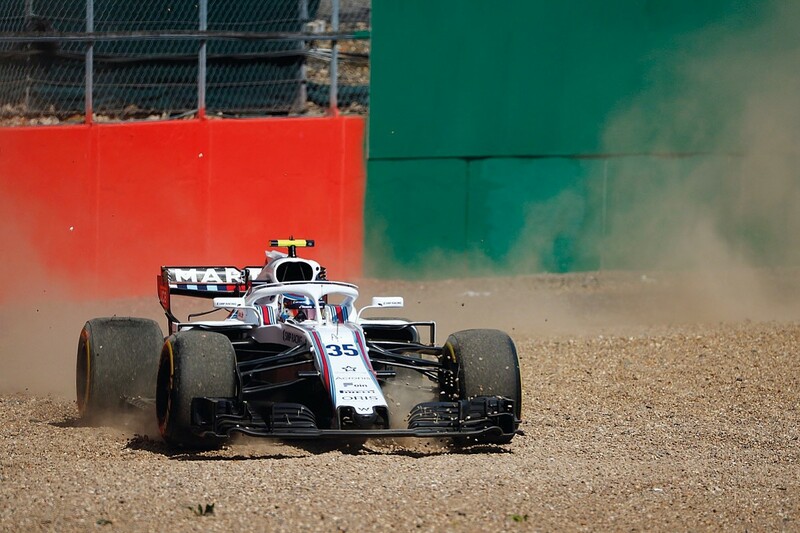 Both Stroll and Sirotkin rotated into the gravel during qualifying as a hidden issue manifested itself: occasionally and unpredictably, the airflow would fail to reattach when the DRS flap closed. Lowe described the resulting loss of downforce as "really quite catastrophic". But the new wing wasn't the root cause of the phenomenon. The team had also evaluated modifications to the vertical fences within the diffuser during Friday practice. Then, having measured a useful increase in downforce, they retained them for the rest of the weekend. Adding the new rear wing at the same time just made the job of tracing the aerodynamic issue more difficult. 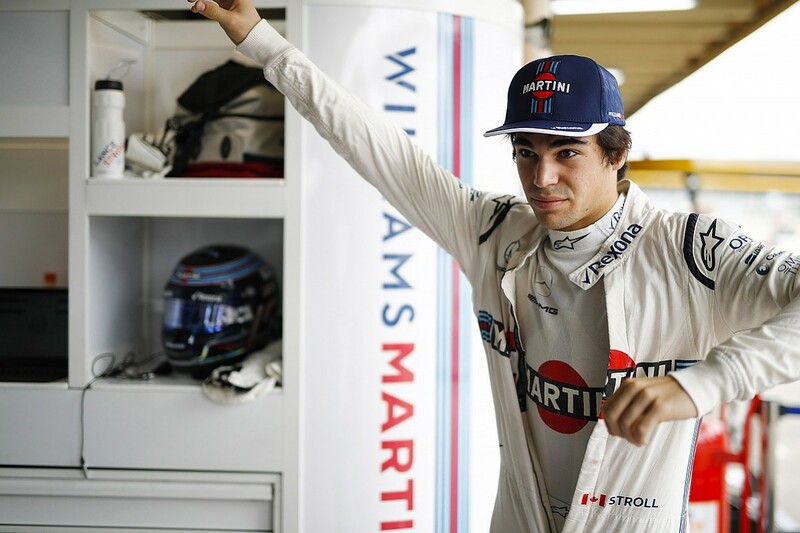 Both drivers suffered aero stalling throughout practice, and although the engineers couldn't understand the reasons for it, they persisted with the new components until Stroll and Sirotkin spun in qualifying. Believing the wing to be the cause, they reverted to the previous spec for the race - which meant both cars had to start from the pitlane. Here, at the Williams' home grand prix, where they took their first world championship victory back in 1979, the team's shortcomings were ruthlessly exposed. Putting so many new parts on the car at once was inviting such disaster. In forcing the pace of development they were ultimately making life more difficult for themselves. The car remained truculent for the rest of the season, although a new front wing introduced at Hockenheim and designed to be less pitch-sensitive did succeed in making it less edgy under braking. Back at the factory, the ongoing FW41 debacle prompted another structural overhaul that may yet engender the cultural change Lowe envisages. Rather than being based in a separate facility, the aerodynamics department now shares the design office. Former McLaren aero chief Doug McKiernan, who joined as chief engineer last February, has a roving creative brief across aero and structural design. Other changes are ongoing; Rob Smedley, head of vehicle performance, announced just before the Brazilian Grand Prix that he was stepping down, and that he had yet to find a new job. During an FIA press conference that weekend Smedley let slip a telling piece of insight into how arduous the preceding months and years had been: "I can be a normal husband, a normal dad, and not going away every two weeks and working until 9 or 10 o'clock in the office every night." Also during that Interlagos weekend, F1 Racing chanced across a small cluster of Williams personnel behind the paddock on Thursday afternoon, enjoying the vista of what remains one of the world's great motor racing circuits. They confirmed, unequivocally, that they lived in keen anticipation of slamming the garage doors down on the reviled FW41 for the last time. Development of the car had long since become an unedifying process of flushing good money after bad, and that is a view shared by the team's most senior staff. 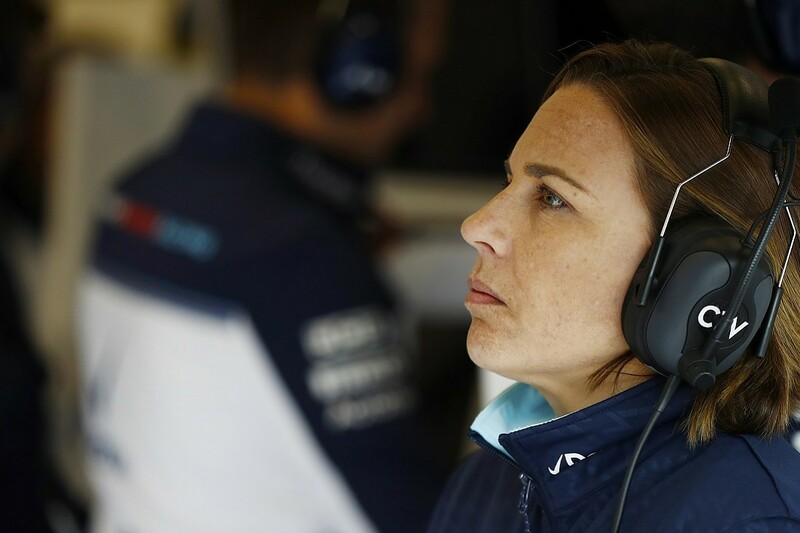 "I think the problems were related to the global car, if you like, we've had issues front to back," says deputy team principal Claire Williams. "So to try and make changes to bring performance to a car that was like that was always going to be difficult. But we tried and we tried hard. It wasn't through a lack of hard work, energy, motivation. I suppose it was just the flaws were too fundamental to rectify halfway through a season. Even if we had tripled the budget I'm not convinced we would have changed its course. "You don't go from P5 to P10 without quite a few things that have gone wrong in your organisation, and we're in the slow process of resolving all of those issues. We can't tackle everything all in one go. So, we therefore have to temper those expectations as to what we can achieve in 2019 based on the resources we have to fix everything." This may not seem an encouraging pronouncement, that the team appears to be re-cutting their cloth to fit, as it were, but at the very least it demonstrates an understanding of the scope and scale of the team's malaise - and the long road ahead to cure it. This will not be the work of days or weeks. It will require continuous vigilance. And it must be accomplished on a vastly reduced budget, given the team's reduced share of the prize money and the end of their Martini sponsorship deal. The legendary Williams technical director Sir Patrick Head was once heard growling down the radio to one of the team's more hapless drivers of the 2000s: "Whatever it is that you do, do it better!" You can't help but feel the team's present management should print out that curt directive in large-point text and stick it on the factory doors. Sirotkin: £15m down the drain? According to popular maxim, it's the very definition of stupidity to repeat a failed course of action and expect a different outcome. 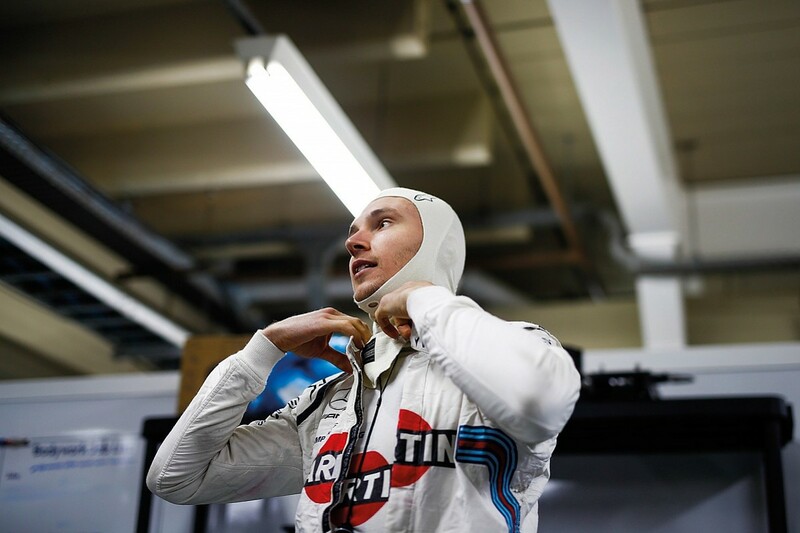 That, and a feeling he didn't make the most of his limited opportunity, is why Sergey Sirotkin's backers SMP declined to fund a second year for him at Williams. Sirotkin might lack Lewis Hamilton's rock star persona and searing turn of pace, and he failed to comprehensively defeat Lance Stroll in 2018, but he applied himself diligently to the task of making himself and the car better. He made mistakes, getting involved in first-lap scrapes and spinning out of Q1 at his home race, for instance, but there were other moments (such as at Monaco) where he over-achieved in a very poor car. You could argue he deserved a second season on merit. It's also by no means certain that Robert Kubica - who has put together a sufficiently attractive portfolio of Polish sponsors to get the race seat - will do a better job given the tools available. Though it is chump change in comparison with Cristiano Ronaldo's estimated 2018 earnings of £85m, SMP's £15m is believed to be the biggest budgetary contribution any F1 sponsor has ever made. In comparison, you could buy a season in F3 for £720,000, F2 for £1.7m. "Sergey is a very strong character, a guy with great values as well as being a very fast racing driver," says Paddy Lowe diplomatically. "He will show his talent in the future, and I think we saw with his human and driving qualities, he is a driver we are going to see around at one place or another. "It's a shame for Sergey that while the team talk about building a better future as a result of what we've learned from a bad year, he's gone through that and been a very supportive member of the team, a great team player but then not standing to benefit in the future from his contribution to that process."